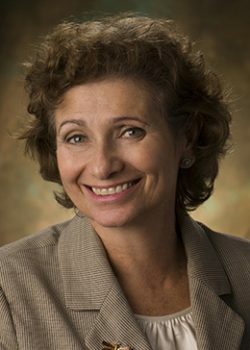 Ellen Friedman, MD is Professor of Otolaryngology and Director for the Center for Professionalism in Medicine at the Baylor College of Medicine. Daily struggles with these realities can cause physicians to become less engaged, even cynical or demoralized. Physicians can feel alone in the pursuit of excellence, at times even victimized by the system. The breakdown of morale of the medical staff has many ramifications, including the widely publicized epidemic of burnout. The feelings associated with burnout may feel familiar: We may have difficulties living up to our own expectations of professionalism, which can contribute to becoming impatient with consultants or being easily annoyed by the primary team, and thus communication breakdowns may occur. Common courtesy among colleagues is often lacking. Physician-to-physician conflicts resulting, in part, from burnout threaten patient safety by limiting cooperation and communication among care team members. A study by the Institute of Medicine points to poor communication and deficient teamwork as common causes of adverse patient outcomes, even more common than lack of knowledge or clinical skills. Conversely, the benefits of improved teamwork exceed purely patient-centered benefits; it also creates a more satisfying and pleasant work environment for physicians, which, in turn, helps to combat burnout. While I certainly applaud kindness to patients, kindness to colleagues is almost of equal importance, yet is infrequently discussed. Although as physicians we may feel powerless to reverse many of the negative aspects of the march toward the commercialization of medicine, we can personally address our own ability to communicate respectfully to one another. This will improve our connection and engagement to our colleagues. How to begin? Make the decision to be the first to pursue a gentler, kinder approach to your colleagues. Renew your empathy by believing that everyone comes to work to do a good job because, in the vast majority of cases, that is true. When you encounter an individual with whom you have conflicts, remember that all of the unpleasant factors that are challenging and frustrating you are also challenging him or her. In fact, your colleague even could have additional undisclosed distressing personal issues. Recall that while you are dealing with well-intentioned educated colleagues with different training, different expertise and different points of view, you also have a shared desire to help the patient. Remember that your words are powerful and that in each verbal or digital interchange, you can choose to use that opportunity to be respectful, kind and encouraging instead of confrontational, condescending or negative.